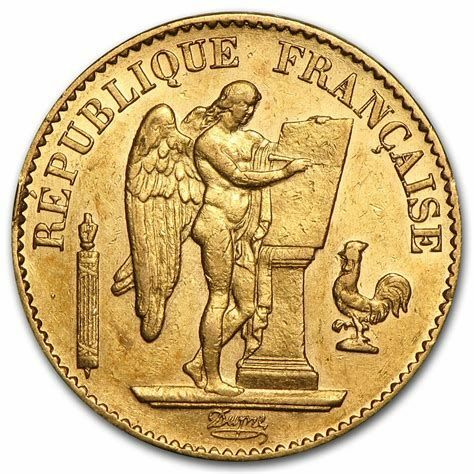 As I’m sure many of are aware, there’s a series of French 20 Franc coins that were made from 1871 to 1898 that feature a winged figure writing on a tablet. In the US, I’m assuming because we’re a Christian majority country, most of us see a winged figure and think “angel.” As a result, these coins are usually called French Angels or something similar and even the name of the Registry Category references these coins as Angels. But the man that designed the coin probably wasn’t trying to depict an angel or any kind of Christian or religious image when he made the design based on what I can find. The coin design was revived in the 1870s, long after Dupre passed away in 1833, and placed on these 20 Franc and 100 Franc coins. Saying that these later versions were designed by Dupre is therefore a bit inaccurate, but they do feature his art. If you want another hint that the design might not be Christian in origin or inspiration, the 20 Franc coins simply say “Republique Francaise” (French Republic) on the obverse. The reverse side just says, “Liberte, Egalite, Fraternite” (“Liberty, Equality, Brotherhood”). There’s nothing on the coin that references “God,” gods, or divine favor. By contrast, a US silver dollar from this period (1878 and later) would have proudly stated “In God We Trust.” For another example, 10 Gulden coins made in the Netherlands during this same period were inscribed with “God Zij Met Ons” (“God be with us”). I thought it was an angel too because it looked like one and because that’s what everyone else was calling it. But I just couldn’t help but wonder why they would have made a design like that and what would have inspired / instigated that in the post-revolutionary period. 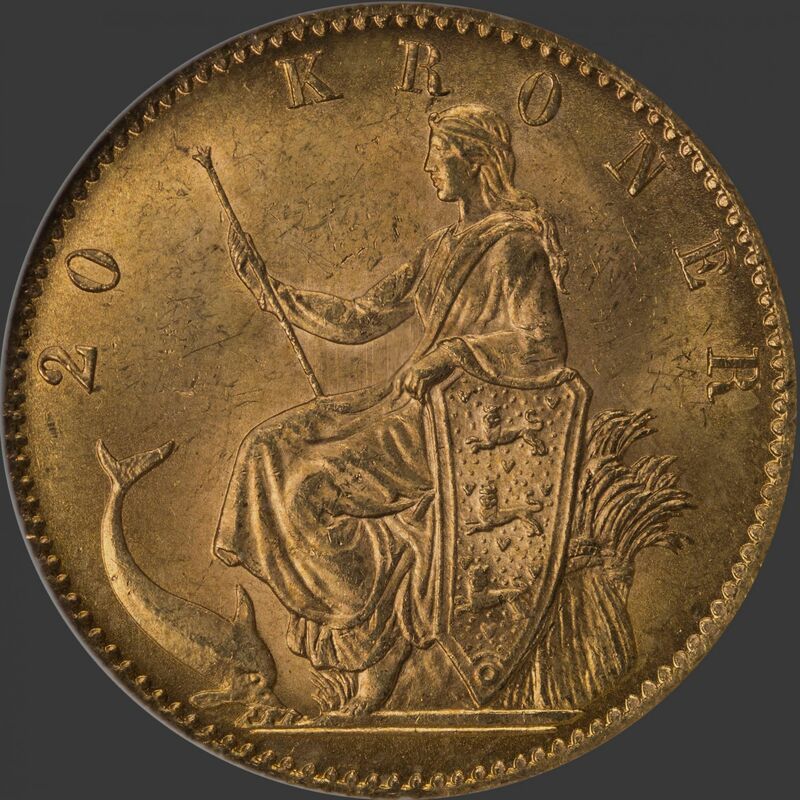 Why an angel on coins in France in the late 19th century? Now I know: It’s not post-revolutionary. it’s revolutionary. It’s not really an angel. The recurring theme of this coin / design is “freedom,” not religion, faith or God. This is not a religious image - it’s a post-enlightenment image. Apparently, there’s a legend whereby Dupre was headed for the guillotine but he was somehow saved by his “lucky angel.” This seems unlikely to be true. Dupre wasn’t a wealthy noble; he was appointed to his position by the national assembly; he wasn’t a counter-revolutionary. There’s no obvious reason why his “lucky angel” would have needed to intervene and save his neck. He held his official position until 1803, well after the Reign of Terror ended in the mid-1790s. I still haven’t bought / ordered one of these yet. It’s probably coming in the next few weeks though. Ah, man. Gotta love those trans-positional errors. The same can be said for the Danish gold 20 Kroner mermaid coin. This coin has that name because of Hans Christian Anderson's, "The Little Mermaid" and the fascination of the Danish people with maritime folklore. The obverse of the coin has a dolphin at the feet of Dania, Denmark's national personification. Because the tail of the dolphin is at Dania's feet the coin is referred to as the mermaid coin. Here's an écu from my collection featuring the "winged genius" as well as the king of France -- clearly a transitional period. Louis XVI was called Citizen Louis Capet during the four months before his appointment with the guillotine. He was beheaded on January 21st, 1793 so this coin was possibly minted during the brief period of that year when he was still alive. The recurring theme of this coin / design is “freedom,” not religion, faith or God. This is not a religious image - it’s a post-enlightenment image. Well, Revenant, you have completely changed my mind on the French Freedom coin! I used to really dislike this coin because I thought it really was an angel and I really dislike religion (not any particular religion mind you, all religion, so I'm not picking on anyone!) and all things connected to it. It's sometimes very hard to be a non-believer in a Christian majority nation and that's something I've lived with my whole life being a non-believer from a non-believer family. I have dealt with some horrible bigotry and intolerance from Christians in my life. I'm not trying to stir up any trouble or upset anyone who is Christian but is a good person by saying that, I'm just saying it because it's been a true fact in my life and something I've had to struggle against. My fiancee has it even worse as she is a non-believer with a mother whose devotion to Catholicism sometimes reaches levels that, I don't know what else to call it aside from unhealthy. But after reading your write-up, I see that the French Freedom coin is something very much akin to the Young Turk Ottoman Nickel Para coins that I love so much. 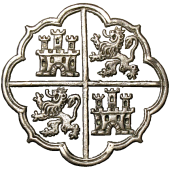 Those coins, minted by another bunch of revolutionaries who were absolutely fed up with religion (among other things) and what it was doing to their society, feature the Young Turk motto of Freedom, Justice, Equality on the obverse, above the Tughra. I think that Dupre was trying to send that same message with an image rather than words. Now, I see a coin that I used to despise in a new light as a beautiful image with an equally beautiful message. Another great entry Revenant! Keep them coming. And Jack, may I compliment you on a very beautiful coin! Thanks for sharing that one with us! On that one, I have to say, you put some wear on that coin so that the details on the feet are less clear and I could totally see somebody getting the wrong idea there. Thanks, Tom. There's 2-3 more in the pipeline / in my head. I just try to space them out at least a little. Yup. That late-18th century piece actually has a lot of the inscriptions I reference in the post that don't show up in the later 19th century 20 and 100 Franc gold coins. Very neat. I may have to track one of those down one of these days.